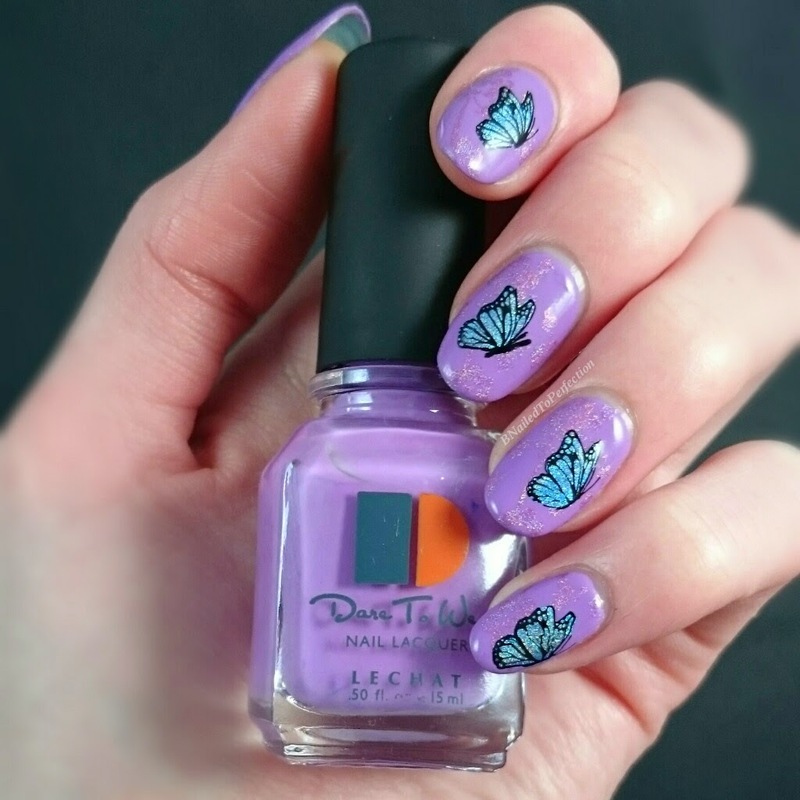 B Nailed To Perfection: Butterflies on Butterflies! I've wanted to try some double stamping for a while now and when I saw a YouTube video by Nail Stamp 4 Fun I knew I had the perfect polish and plate to use for a new mani inspired by her video. Unfortunately it didn't turn out as well as I had hoped but I just got a new holographic polish delivered and wanted to use it. 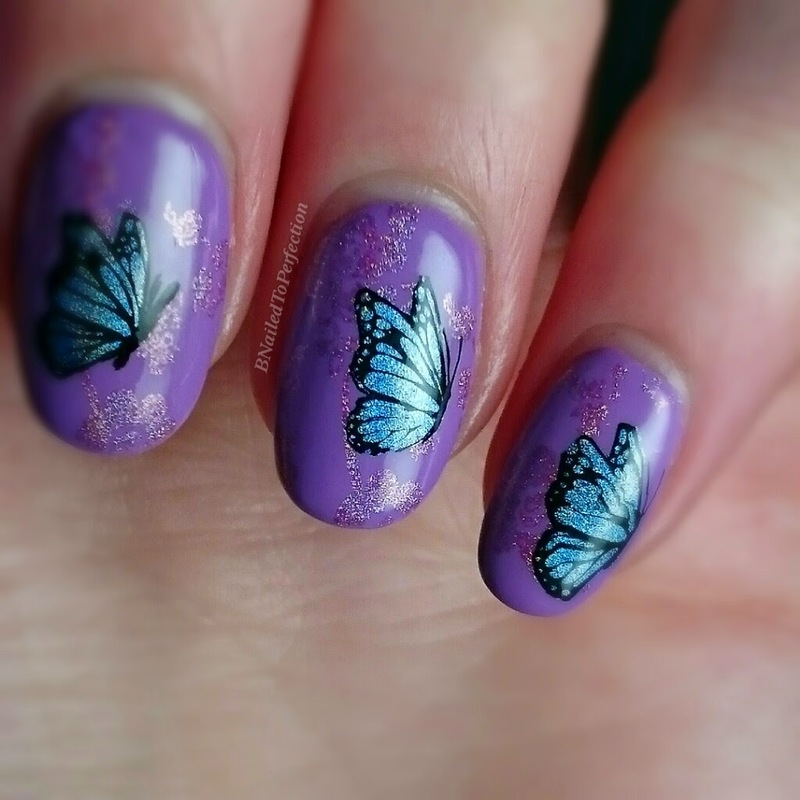 For the base colour I used LeChat Perfect Match Nail Lacquer in the shade Butterflies. It is a beautiful cream lilac and it makes me think of spring. This was three coats. It would have been ok with two but I had used it to cover my gel polish. As this is Perfect Match I do have the gel polish version. Here is an old picture of when I last used it. (I added holographic glitter into the tacky layer). For the stamping I used MoYou Pro XL 10. 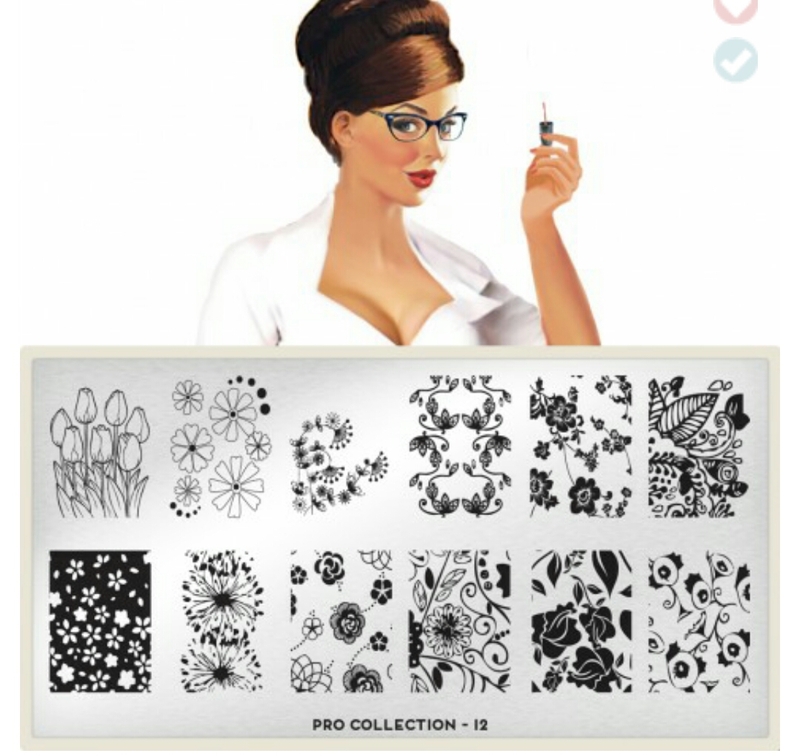 The image I used was second in from the right, top row. 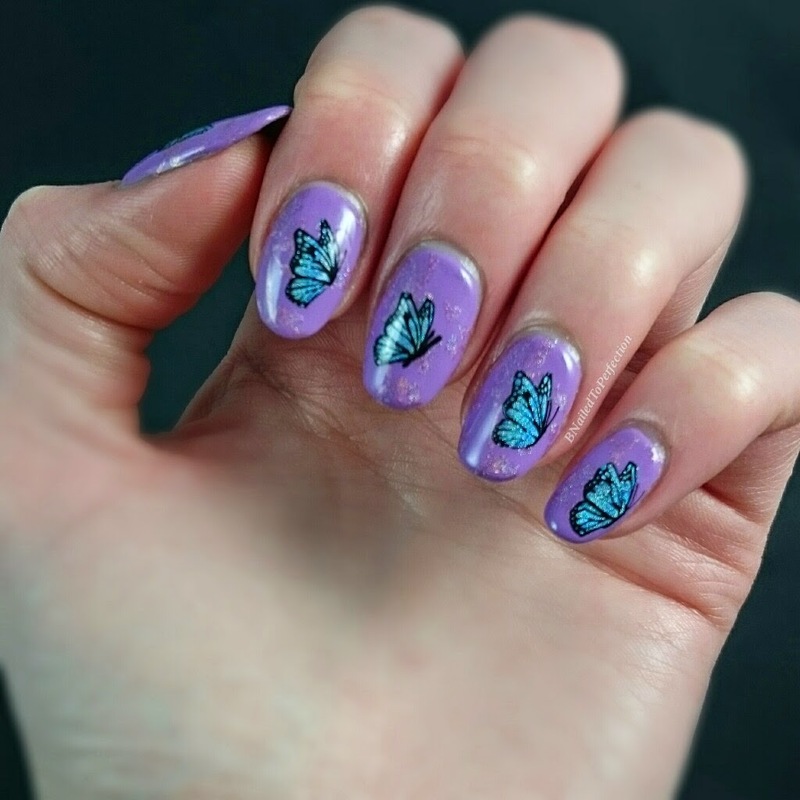 You can't really see the image on the pictures as it's a holo polish but it looked like a pretty background for the butterflies. 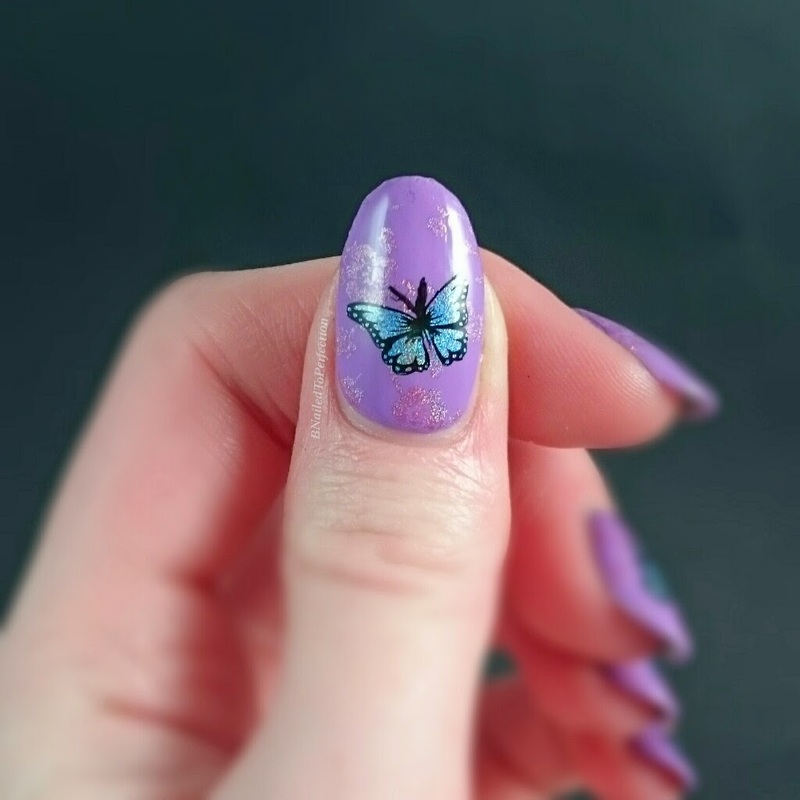 Then I used the Advanced stamping technique to add some butterflies on top of the flowers from my MoYou Mother Nature Plate 10. I love this plate so much as I love butterflies. 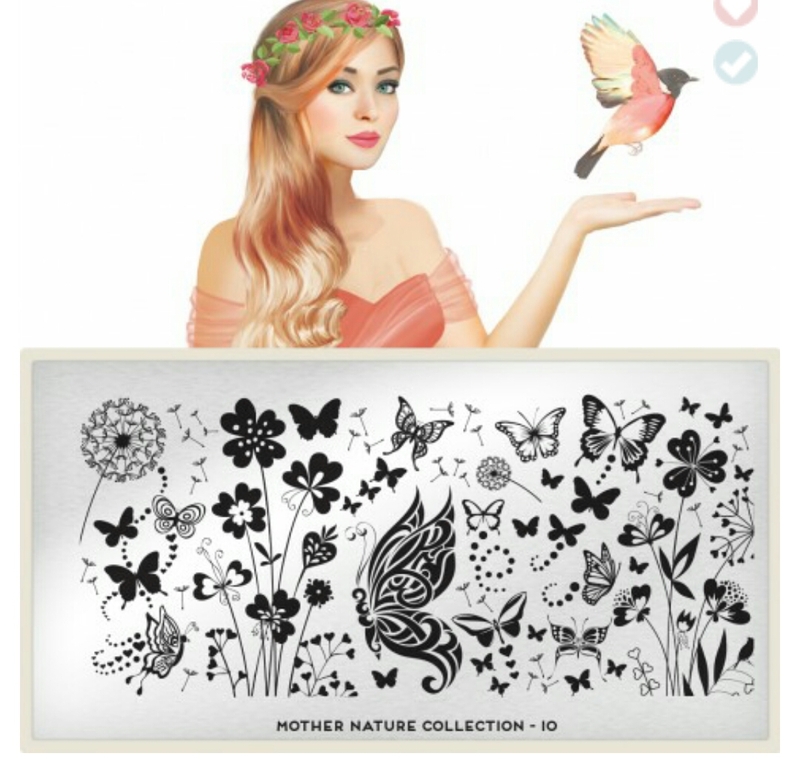 That's why I chose the Mother Nature Stamping kit for my first giveaway. 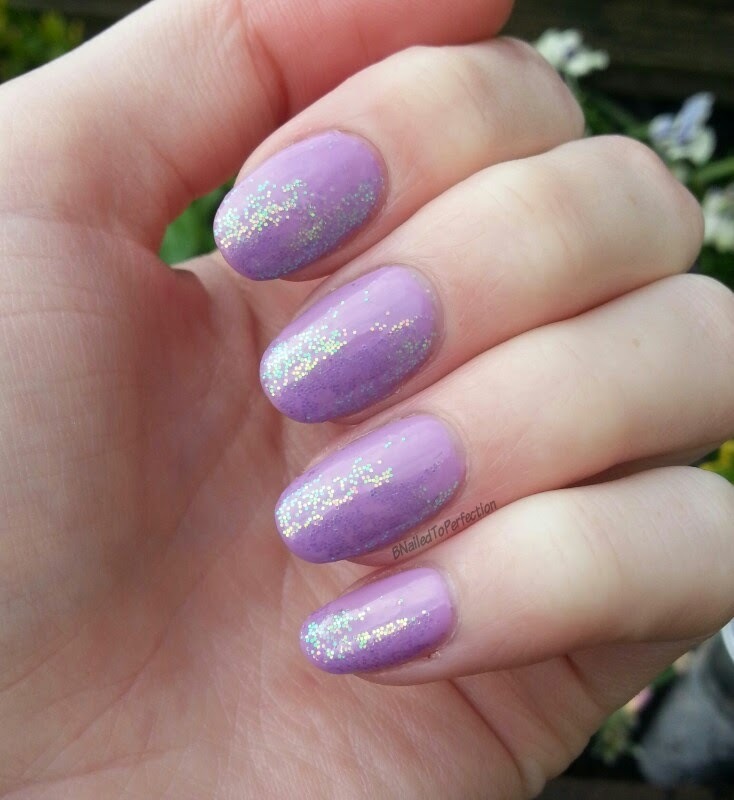 What do you think of my manicure? Have you tried double stamping?